An interactive resource describing the successes of famous climbers. 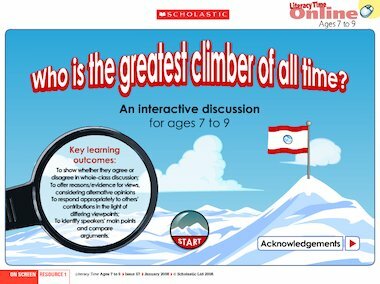 Decide which was the ‘greatest climber’ in class debate, and see if your opinion matches that of the author. Who is the greatest climber of all time?